Melissa M. Franks, PhD, is an Associate Professor in the Department of Human Development and Family Studies. She received her M.A. and Ph.D. degrees in Social Psychology from Kent State University, and completed postdoctoral training through the Institute of Gerontology at The University of Michigan. Dr. Franks’ research on health promotion and disease management among older couples has been published in premier journals including Health Psychology, Journal of Family Psychology, and Journals of Gerontology. Dr. Franks is active in the Center for Families, Center on Aging and the Life Course, and the Public Health Graduate Program. 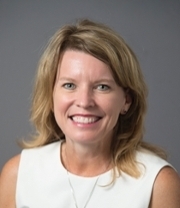 She co-directs the Purdue Healthy Aging Studies (PHASES) Lab in HDFS, and she currently is conducting a multidisciplinary study of physical activity among midlife and older couples with colleagues from the College of Health and Human Sciences.